Have you ever wondered how some teachers seem to do it all? Not only do they care for their students, but they also put their heart and soul into their relationships with friends and families. Fabiana Casella is this type of teacher. Seeing the work she does with her online teaching communities (visit her blog, The Goal-Minded, Globally Connected Educator, to see what I mean), I wondered how a teacher who gives so much also manages to give to herself. I am grateful that Fabiana generously offered to share her story and strategies on the Teachers Talking About Self-compassion series for all of us to learn from. I am from Buenos Aires, Argentina. I´ve been teaching English as a foreign language for more than twenty years plus the six years I taught English as a second language and Spanish in the United States. I personally think there are no coincidences in life. I believe there is something superior to us that leads us to where we best fit, so I would like to share some aspects of how I moved between Argentina and the United States, and how this relates to my story of self-compassion. In 2001 there was a big economical change in Argentina but my family and I, especially my husband, had started to feel the transition a couple of years before that specific date. There are certain moments in your life when you have to make decisions and think what is best for you, so that was why I applied to teach at a high school in the United States and got accepted. My husband, my only son back then (Martín, 4), and I moved to North Carolina, USA. We lived there only for three years as I was an exchange teacher. Then, after the permit to work expired, we moved back to our country. But soon after that, I was offered the job again, and we moved back to the American South again! Hurray! We had had in mind to stay longer than the three years permitted by the exchange program to take advantage of the kind of life and benefit for our son, who was already bilingual and doing so well at school. I was so grateful to be able to offer him this life. I have to admit that that was a turning point in our lives, especially in my own life as a person and as an educator. I have never realized that what I was experiencing was emotionally related to “self-compassion”. I had obviously felt it but never thought so deeply about the fact that being compassionate about others as well as myself would bring me so much self-reflection and inner peace. As an educator who had been trained in one country, and then to teach in another culture, I had to adapt my thinking, my way of teaching and… should I say almost everything as a world citizen and international educator to succeed? I am not so sure if success is the right word to describe my experience, but maybe victorious is more suitable. I made good friends and had wonderful students who taught me that although life is not the same around the world, living and dying happens everywhere. In this way my mind and my eyes were more ready to think and see beyond that very boundary that I had been immersed in before. Reflecting after my classes and talking to my fellow teachers, as well as administrators, was absolutely enriching to my heart. Have I learned enough? Definitely not! Have I changed my way of thinking and seeing things? Absolutely, yes! Since then, I have been trying to make connections and keep in touch with the international community of the best educators and thanks to the Internet, I was able to do so. That was a blessing. That was what helped me overcome the isolation I felt when I came back to my life in my home country. Believe it or not, staying connected helped me to re-build myself and find another way of seeing my life as a teacher: I try to blog, interact and keep on learning on a daily basis. Moving out of the country had its purpose in my life and now I understand, thanks to the faith that guides me day and night, I am back for a different reason. I would have never started blogging and sharing if I had remained in the same place all my life. … in the end, the love you take is equal to the love you make. I believe everyone we meet impacts our life’s path. Some people, however, create a substantial shift in its trajectory. When I heard Greg Brooks-English talk about Nonviolent Communication (NVC) at a KOTESOL workshop in Daegu over eight years ago, I felt this type of shift. From that day forward I have felt compelled to learn more about this approach to communication, and have dedicated a large portion of my life to this learning. It is through NVC that I first learned about the concept of self-compassion. I am grateful to Greg for his passion in sharing what he learns about making the world a gentler place. I am also grateful that he was willing to share once again for the Teachers Talking about Self-compassion series. 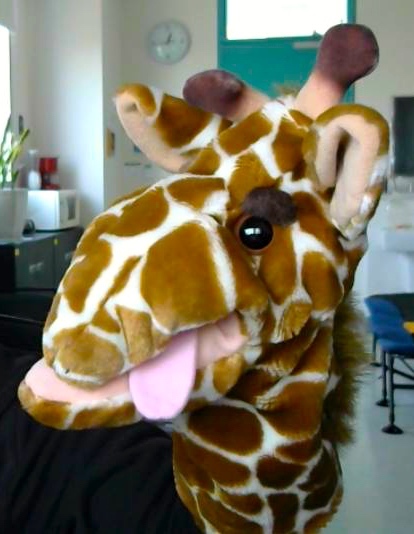 Greg’s giraffe – In NVC, the giraffe is a symbol for speaking and listening from the heart. 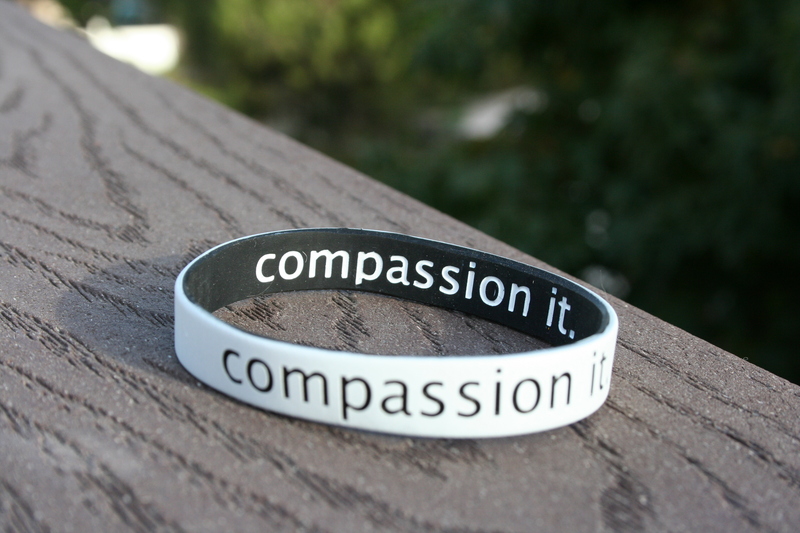 Read “Compassionate Communication” to learn more. I teach at Yonsei University’s International Campus in Seoul, South Korea as an English Residential Fellow. My primary courses are freshman English, and nightly activities. The courses are Listening and Speaking at intermediate and advanced levels, as well as Reading and Writing. I also teach a freshman seminar called Meditation in Daily Life. In the past I have taught Communication for Human Society which is an introductory three credit course in Nonviolent Communication, as well as a freshman seminar called Democratic Capitalism. I also taught another three-credit course titled, World Issues and the Media. The activities I lead are Speaking “Terrible” English Night and Women’s Sports. One strategy is a professional inventory in which every few years, or as needed, I check in with my colleagues and ask them to offer me feedback by answering two questions: A) What have you observed me say or do in the past several months or years that you didn’t like or would do differently? ; B) What have you observed me say or do in the past several months or years that you really appreciated and liked that you’d like me do more of? This inventory really gives me a sense for how I’m perceived by those I value, and clarify anything by our staff who might have developed a story that was inaccurate and started believing it. In addition to his work at Yonsei University, Greg has played a pivotal role in bringing NVC to the expat community in South Korea. One of these roles involved organizing a practice group at the Korean Centre for Nonviolent Communication. Next weekend (October 24-25) there will be an introductory workshop here. I have the honour of teaching one session alongside my first NVC teacher, Katherine Singer. If you are interested in joining, please sign up here: NVC introductory workshop registration. I felt joyously compelled to ask Marisa Pavan to write for the Teachers Talking About Self-Compassion series. Her ability to connect and make you feel welcome in the sometimes unfriendly online world is something everyone should experience. 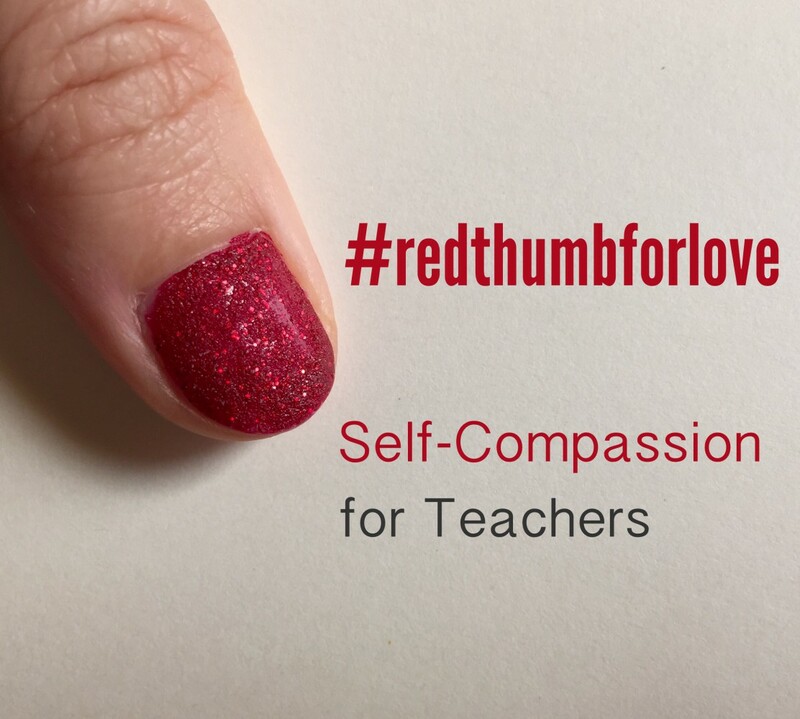 Marisa is a strong supporter of the Self-Compassion for Teachers Facebook page, and I wanted #RedThumbForLove readers to experience this support as well. When you learn about her and about how online savvy she is with her teaching/learning community (scroll down to read more), you’ll understand why I’m grateful she agreed to share her experience with us. In what country or countries do you currently teach or in what countries have you taught? What subject or skills do you teach or have you taught? First of all, I’d like to thank Josette for having invited me to share my post in her blog. She’s always a source of inspiration for me and I enjoy reading her posts. I’m a teacher of English as a Second Language, a translator and an interpreter. I have always taught English as a second language in Argentina. I have taught speaking, listening, writing and reading skills to students at different levels for 25 years now. 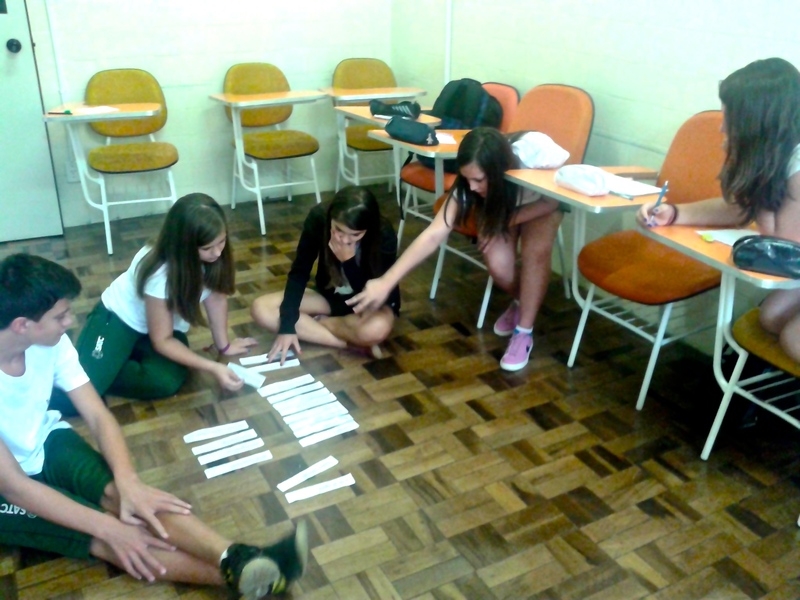 At present, I teach several groups of teenagers at intermediate and upper intermediate levels and I’ve noticed that even when they are almost the same age, their attitude towards their learning process varies. These classes are a source of inspiration to me not only when I plan their lessons but also during the teaching-learning process. I do my best to be flexible enough so as to adapt what I have planned for them to their attitude, likes and dislikes. I’ve practised guided meditation many times and if I need to balance my chakras, I take a Tibetan bowl session with a therapist. As far as I’m concerned, I’m convinced that if one is kind to oneself, then one is able to be kind with others, in my case with my students and colleagues. I live in a challenging society in my country, in which in general values and respect towards oneself and the others are being lost and I do my best to live according to my values. The most common social issues that affect personal development in my country are high levels of urban crime generally perpetrated due to the urge to obtain drugs, poor housing and other social concerns such as poverty are widespread. Added to this, members of the national government are accused of being corrupt and supporting illegal deals. Given this situation, I feel blessed to be in contact with people with whom I share views on life. Once I read “the one who never smiles is the person who needs a smile the most.” I’ve always felt respected by my students as a human being and I think that it is because I respect them, even when they sometimes don’t study enough or don’t do their homework. And it is through kindness and smiling that I try to create a rapport with my students in a relaxing atmosphere and they always seem to feel comfortable in my classes. It’s not that they do what they want to but I negotiate with them, offering a rationale for what they need to do in order to improve their skills. Many psychologists believe that the crisis teenagers are facing at present are mainly connected to the lack of adult models most of us had in our teenage years. So in our capacity as teachers we should show them the importance of responsibility, respect to oneself and others and kindness. For quite a while, I’ve started using modern technology in an attempt to help my students become independent learners. I share a Google+ community with each different group, where I upload material for students to practise, videos, songs and I also invite my students to participate, join challenges and share their views. As sources of communication, I’m on Facebook, Twitter @Mtranslator, Linkedin, Google (chat, hangout) and I’ve got a blog: Linguistic consultancy. Be sure to catch her at any of these forums. I first met her through iTDi, and I am very grateful for this encounter. 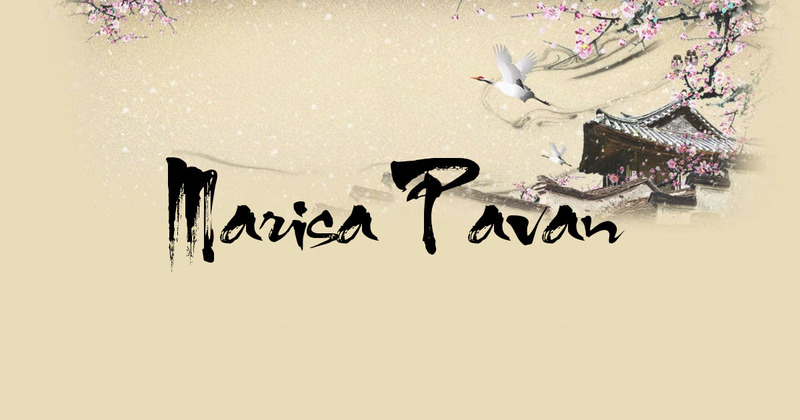 Thank you Marisa! If there ever was a reason to look into the necessity of self-care for teachers, the numbers in that article make a pretty damn good case. I was aware it was rough for teachers in the United Kingdom, but I didn’t realize it went this far. I first learned about the stressful conditions from my dear friend, Natalie Cotterill, when she thanked me on a few occasions for adding links and blog posts to the Self-Compassion for Teachers Facebook page. In need of support, she even added the inspiring picture you see below to the Red Thumbs Around the World collection. After reading the above linked article, I wondered how Natalie was still teaching! I knew we had a lot to learn from her, and I am thankful she graciously offered to answer the Teachers Talking About Self-Compassion series’ questions about her teaching history, her strategies for self-care, and why self-care is important to her as a teacher. I have taught in South Korea and the UK. I’ve taught English language as a foreign language and English literature and language in the UK. This is my sixth year of teaching in the UK, I’ve moved this year from Secondary School (11-18) to a Sixth Form College (16-19). When I was training to be a teacher, I had one lecture in which we were given the advice to, ‘hold on to your own professionalism.’ This, to me, meant determining for myself what successful teaching and learning looked like. It meant finding my own way to work and holding true to that, whilst taking advice and honing my skills. This is impossible almost everywhere in state education in the UK at the moment. New initiatives (which are often, in fact, regressive) and course changes are now the norm and many teachers, myself included, have only ever known life under a Conservative government. Teachers are encouraged to compete to mark the books more than others, to work longer and longer hours and to relish more pointless administrative work such as data entry, all of which takes us away from our own and our students’ learning. The competitive environment leads to teachers and students punishing themselves and feeling that whatever they do is not enough. I know that feeling only too well. I’ve witnessed colleagues and friends become ill with stress as the pressure mounts to meet the ever-changing standards. Earlier in the year, I started attending a Yoga group locally. We practice Yoga Nidra, which involves group meditation for around two hours at a time. There is no physical exercise involved as the focus is on connecting will, mind and body. I stopped attending when my workload became ‘too great’ in the summer term. Looking back, it was then that I needed Tuesday nights to myself the most. The busier I am, the more important I think it is to find time to meditate, even for one minute. This is my way of being self-compassionate, but I often forget to look after myself in this way. As a teacher in a very large London school, with constant government-led changes to policy and a culture of fear (with initiatives like Performance Related Pay, which means teachers’ salaries are now linked to examination results), it’s so easy to lose sight of why you got into teaching, and to lose sight of who you are as an individual. A frantic, fear-driven environment is not conducive to learning or, most importantly, happiness. Your health can become bottom of the To Do list. I would go from coffee to keep me awake all day to wine to help me sleep at night. This is a cycle that becomes self-perpetuating. It’s no wonder that the average length of career for teachers in the UK has dropped to ten years and is dropping every year. Self-care has almost become a taboo in UK schools, with teachers feeling that they have to agree to do anything of Ofsted or Senior Management tell them to, lest they be accused of not putting the children first. We need to change this and recognise that a work-life balance is not a luxury, that looking after yourself is not an indulgence. You have to put your own oxygen mask on first, or you can’t help anyone. I’m about to start teaching in a new environment, at a Sixth Form College in West London. I’m feeling anxious about getting everything ready for the term ahead and also excited. I’m hoping I’ve found an environment where self-compassion can not only be possible for me, but central to my life. Fingers crossed. One of the joys of gathering stories for the Teachers Talking About Self-compassion series includes the opportunity to look back on how I met the teachers who accept my request or volunteer to answer the three questions. To date, I have only physically met one teacher, and “meet” with the other two (found here and here) regularly via our favourite social networks. This is how I met Hana Tichá: through one of our favourite online venues, blogging. 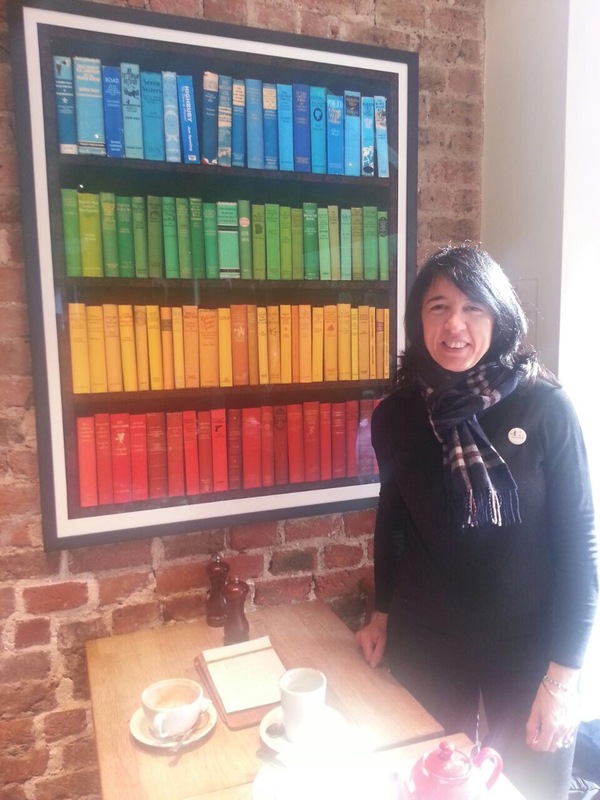 Her blog, “How I see it now” came to my attention when we both decided to join the Reflective Practice Blog Challenge set out by John Pfordresher. I quickly learned that Hana brings care, mindfulness, and love to each word she types. I’ve also learned that many people, including me, are very appreciative of these words. They expand our heart and mind, and make our days a bit brighter. Keep reading. You’ll understand what I mean. 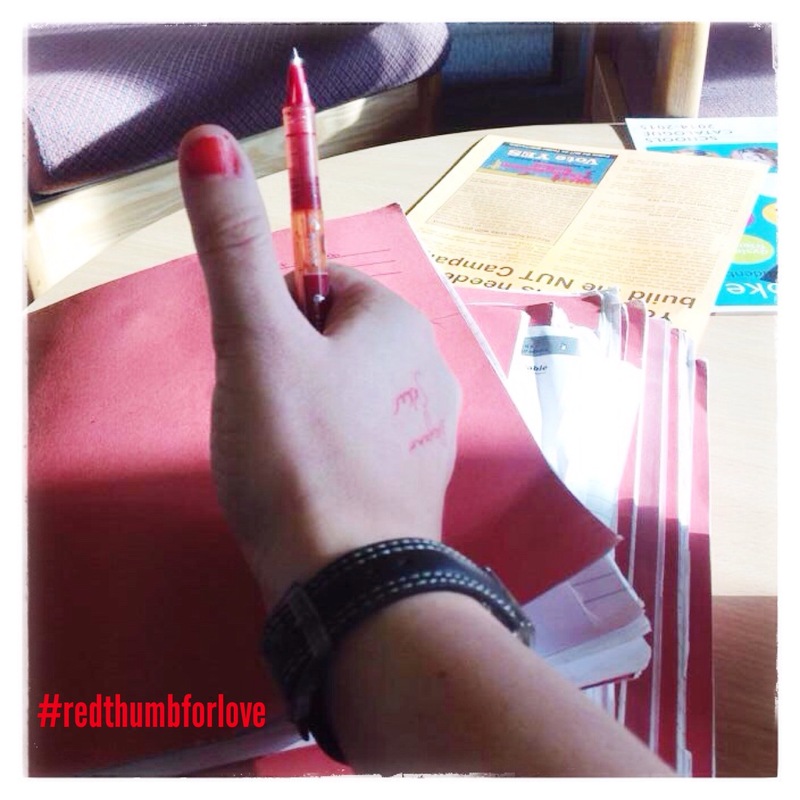 Note: This is Hana’s second #RedThumbForLove snapshot. You can find her first one here. To the online world, I like to introduce myself as an English as a foreign language teacher, but here in the Czech Republic I consider myself to be a subject teacher of English at a secondary school. In the past, I worked freelance and had classes of very small kids as well as adults of all ages and occupations. Currently, I’m working in the state sector of education and teach children aged 11-19. I’m a homeroom teacher to a class of 14-year olds, which I’m extremely proud of. I’m also the head of the English Department at our institution, which, on the other hand, yields more responsibility than pleasure. When I’m emotionally shattered or worried about work, the first thing I do is go and talk to my friends and colleagues. As a rule, they are usually more compassionate than I am self-compassionate. Reading blogs of like-minded educators has a particularly soothing effect, too. People like Zhenya Polosatova, Anne Hendler, Kevin Stein, Anna Loseva, Rose Bard, you, Josette, and many more always lift my spirits when I feel I’m getting off the right track. Also, writing my own blog helps me see things from a different perspective. I’m particularly grateful for the comments I get from fellow bloggers, especially for their message: Don’t worry; we’re in the same boat. But sometimes I just grab a book that is not education-related: a novel, even something esoteric. There’s a copy of Dalai Lama’s The Art of Happiness sitting on my bedside table and I read it whenever I need to take a break from the stressful, material world or when I need to remind myself of the importance of compassion and love in a human’s life. Although they look similar on paper, compassion and self-compassion produce very different emotions which don’t have the same healing effect. When my colleague expresses a deep feeling for my suffering and misfortune, it helps a lot, but only temporarily. Self-compassion, on the other hand, has a permanent remedial effect. I believe that self-compassion changes you gradually and completely while constant compassionate comments from your colleagues may sometimes result in your stagnation. To be honest, I’m not a naturally self-compassionate person; I tend to mercilessly judge and criticize myself and then I like to revel in self-pity for a while. This is not very helpful if you are a full-time teacher. A lot happens during the day at school and especially the emotional part of it can be overwhelming. In such conditions, a minor incident easily becomes a terrible disaster in your eyes and it affects your mood and sense of self-worth for a couple of days. To conclude, I would say that the hardest part of any reflection process, which, to me, is synonymous with self-care, is forgiving. I believe that we constantly need to learn to forgive ourselves for being imperfect. Actually, why should we strive for perfection at all given that perfection kills, but wisdom makes a mistake every day? About three years ago, my concept of teacher development completely changed. This is when I became a member of the online community, International Teacher Development Institute (sign up here to become a member of iTDi). Here I met teachers from all around the globe with an immense passion to learn and to grow by sharing their ideas, fears, and hearts. One of these teachers is Rose Bard. 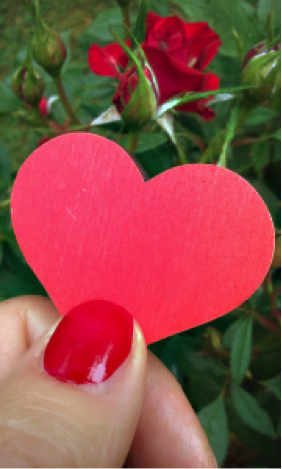 Rose’s generosity of heart comes through the words she writes for her blog ELT Diary. Among many thoughtful topics, she writes about global citizenship for language learners, and about creating a supportive dialogue of learning between her and her students. This dialogue also extends to her teaching community, and Rose’s desire to add her story to the Teachers Talking About Self-Compassion series is another examples of this big-heartedness. A lot of people when they read my name assume I’m a foreigner, but I’m actually Brazilian. I lived in England for 5 years though and when I came back to Brazil, I was offered a job in a language school. After taking the proficiency test and going through an in-service training, I was hired full time. That was in 1998 and I’ve been teaching English ever since. Being kind to myself is recognizing everyday that a human relationship is a complex one, and yet the most marvelous. Every interaction might be filled with assumptions about ourselves and others and I learned through the years that we need to be patient, but above all, love with all our heart, soul and mind. I’m a follower of Jesus and I take his words very seriously. Reading his words and the words of inspiring people helps me care for myself and exercise self-compassion. I know I can count on others to help in the way and that keeps me going. Another struggle of human dimension is the fear of failure, and mistakes are often magnified by this fear. It’s common for someone learning a foreign language to feel odd trying to make new sounds, figuring out things they never heard or seen before. It’s hard to find a learner who doesn’t have this awful frustrating feeling of not knowing. Especially when we become more self-aware of things around us and about us, not knowing something leaves us with this uneasy feeling. Being aware of this as a language learner myself, I bring to class this topic and reflect with learners. I feel my job nowadays is to support them more than anything by creating an environment where we focus on doing what is good for learning. Therefore, I want this space not to feel threatening so they can exercise self-compassion for themselves (click to tweet) and compassion to others. By creating this space, I’m also exercising self-compassion for myself because most of the struggles we have as teachers is related to the relationships we build inside the classroom while dealing with learners expectations and beliefs about themselves and others. Making errors is an important part of the learning journey and we make many while trying out something until we can learn to do it well. Making sure that learners understand that is paramount for a fruitful life as lifelong learners. My goal becomes to inspire them while they learn from me, with me and others. And by being kind to their peers, they also learn to practice self-compassion and I see this as key for personal development as a language learner. Kristin Neff’s definition of self-compassion is a perfect one for me. Instead of mercilessly judging and criticizing yourself for various inadequacies or shortcomings, self-compassion means you are kind and understanding when confronted with personal failings. Seeking that for our own lives eventually becomes part of our own practice as a teacher. Knowing that others need it as much as we do, makes the whole world to be seen differently.